We are so excited for Kfirim 2017 to begin. We have so many exciting things in store for the chanichim and are eagerly awaiting their arrival! 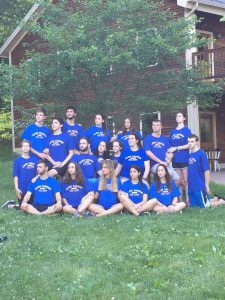 The roshes came up to camp last Sunday to begin all the preparation and the מדריחים madrichim (counselors) followed on Wednesday and Thursday. Everyone has been hard at work getting the bunks ready and planning activities for our incredible חניכים chanichim (campers). We spent Friday morning playing fun team building games with the Browne Center. They taught us a multitude of amazing games. There was one called “Shmick-shmoo” that we particularly enjoyed. We can’t wait to teach all these great games to the chanichim. We know that they will enjoy them a lot! The madrichim and roshei aydah all had a really nice Yavneh-style Shabbat together. We begun with ReLeSh (Ruach Lifnei Shabbat-Singing before Shabbos) and continued with services for Friday evening at the amphitheater. Dinner was wonderful and everyone was really excited for Shabbat zemirot (songs) after dinner. Shabbat day was relaxing and allowed us to rejuvenate to prepare for the week we have coming up. We had a nice havdallah followed by Israeli dancing. It was amazing to see how everyone is so excited to be back at Yavneh. There was a lot of ruach (spirit) throughout the whole thing and we can’t wait for Shabbat as a whole machaneh (camp) next week! On Sunday, we had the opportunity to try out the new etgar (challenge course). 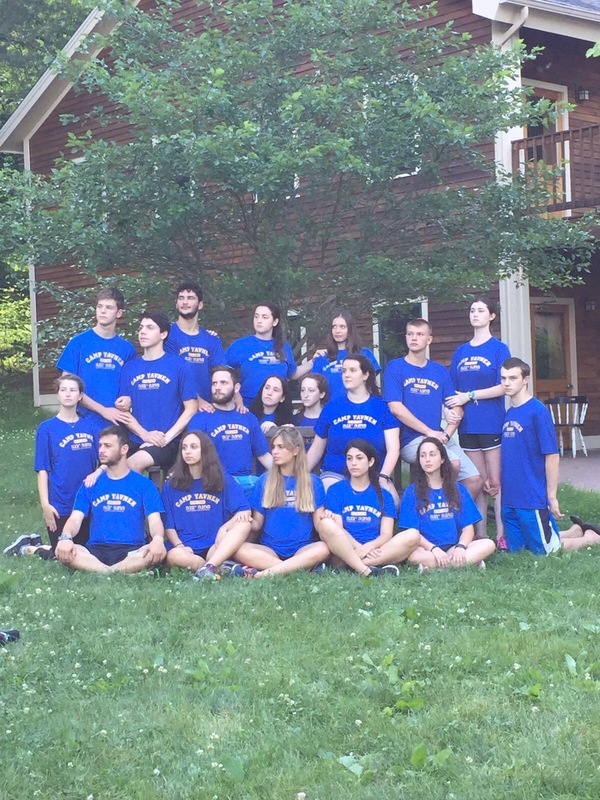 It was a lot of fun and we have several madrichim who will be running the etgar throughout the summer. The etgar comes from a company called “Playout,” which is focused on making fitness fun. They have card games that involve exercises. There are many different games that can be played with the cards. Each card has an exercise and the games are a fun way to stay fit. We are really excited to have our chanichim playing these games and know how much they will enjoy it! On Sunday night, the madrichim and roshei aydah camped out on sadeh yarok (the big field next to the climbing tower). We set-up tents and slept in them. We also had a barbecue in which we cooked our own food. It was very tasty! The night was concluded with a bonfire. We sat around the fire singing songs and making s’mores. We are so excited for our Kfirim camping trip that will be happening later in the summer! We have enjoyed our bonding and are all excited to work together to give the חניכים chanichim an amazing summer. There are so many fun things in store and we are so excited for the חניכים chanichim to come on Wednesday!